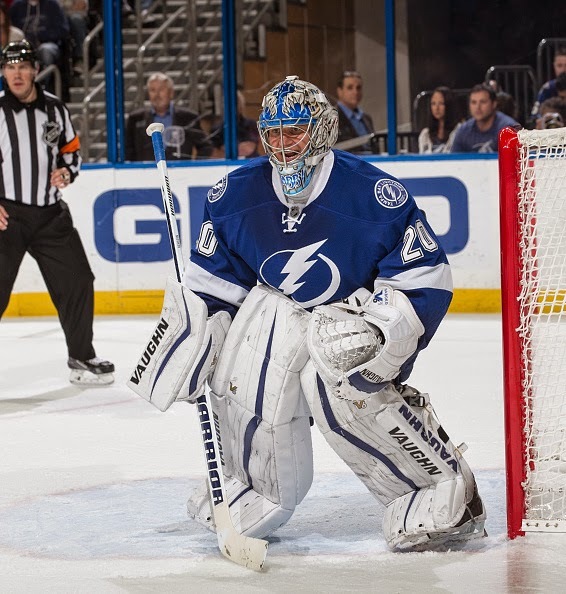 Nobokov was placed on waivers by Tampa Bay in Februrary. 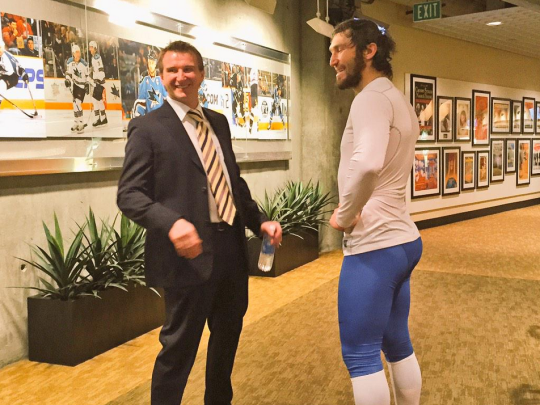 He was signed temporarily by San Jose so he could retire as a Shark. 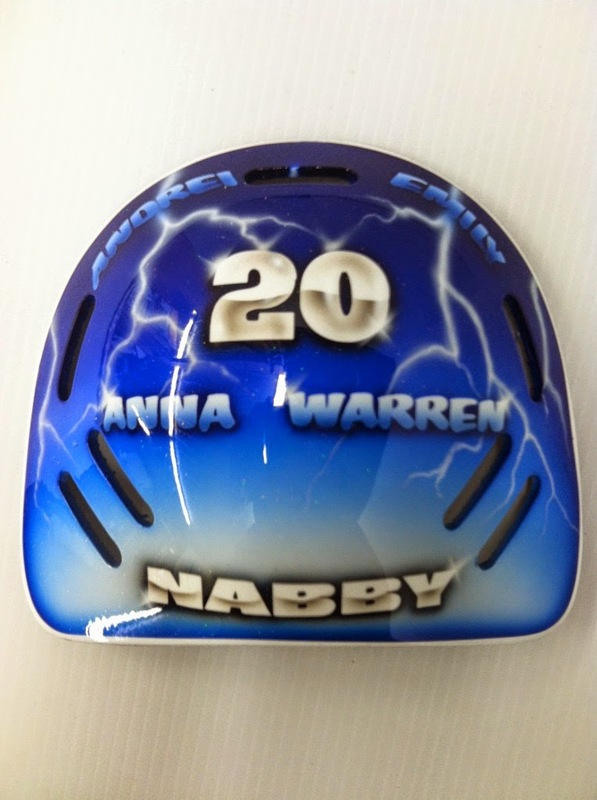 Across the backplate, the number 20 of Nabokov’s childhood idol, Vladislav Tretiak, sits just above the names “Anna” and “Warren”, and just below the names of Evgeni’s children, Andrei and Emma. 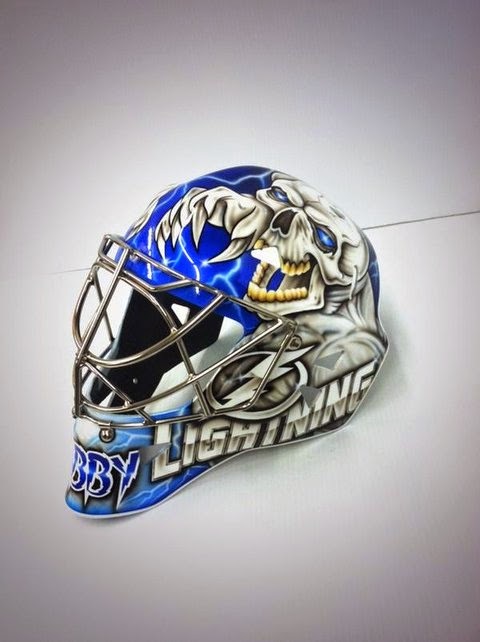 Once again, the lightning stands out against the royal blue background. 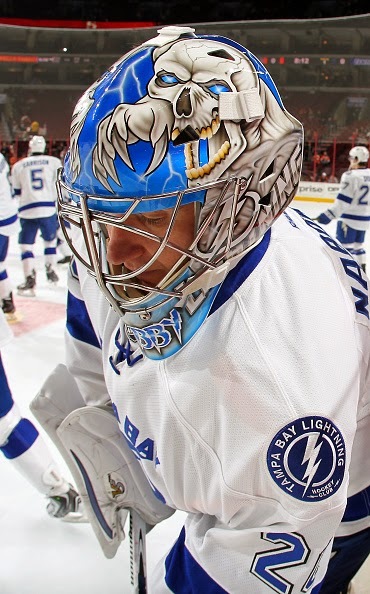 Placing the names of children or idols on masks is rather standard among professional goalies. However, the names Anna and Warren are something special to Nabokov. 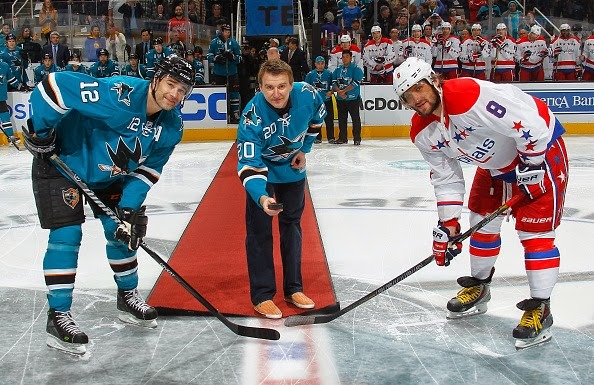 Warren Strelow was a father figure and goaltending guru to Nabokov during the early 2000’s in San Jose when the Kazakh native first came to the United States. He passed away in 2007 at the age of 73. Anna Gorouven was a dear friend of Nabokov’s who ultimately convinced him to remain in North America when he was playing in the AHL for the Kentucky Thoroughblades. 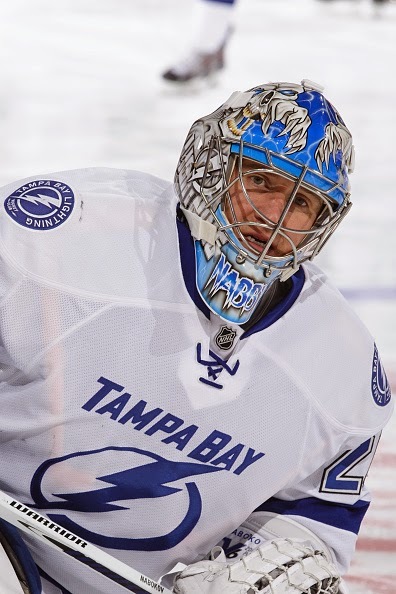 Playing time was tough to come by and Nabkov had aspirations of returning to Russia, but Gorouven urged him to be patient and keep chasing his dreams. 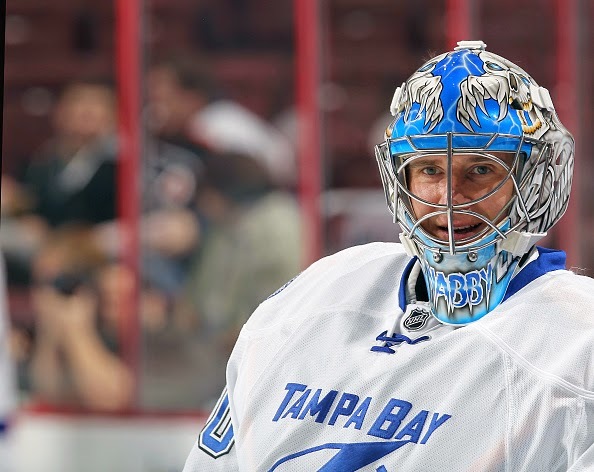 She also passed away and placing their names on his mask is Nabokov’s way of commemorating two people who contributed to the admirable accomplishments Nabokov has accrued to date.